The tailcap design on the C01 is awesome! I will have to get a magnet for it once I figure out the size needed.. Magnet size: diameter 5mm; height of magnet 3mm. Also see the C01 specifications page. 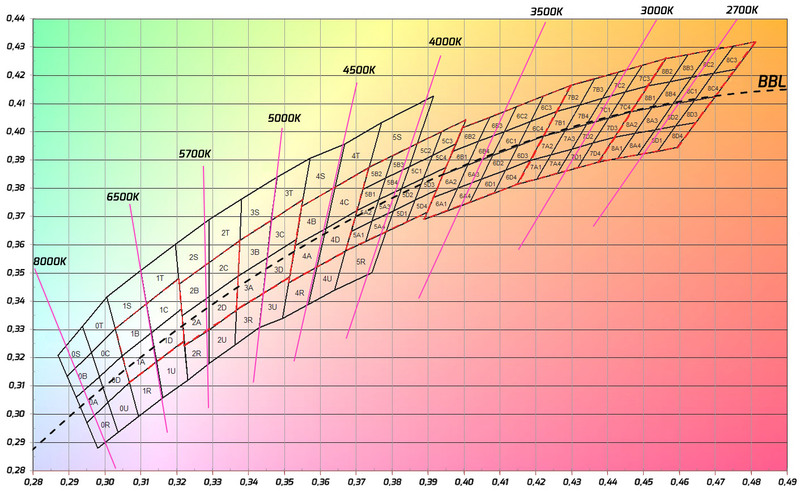 N52 is the highest magnetic strength available. 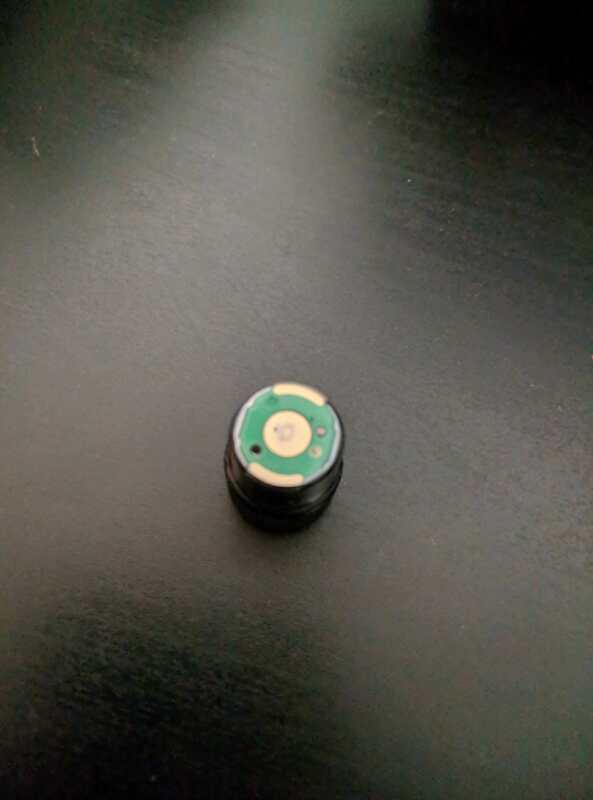 I found 5×3mm size magnets in N52 strength on BangGood.com and in N50 strength on FastTech.com. 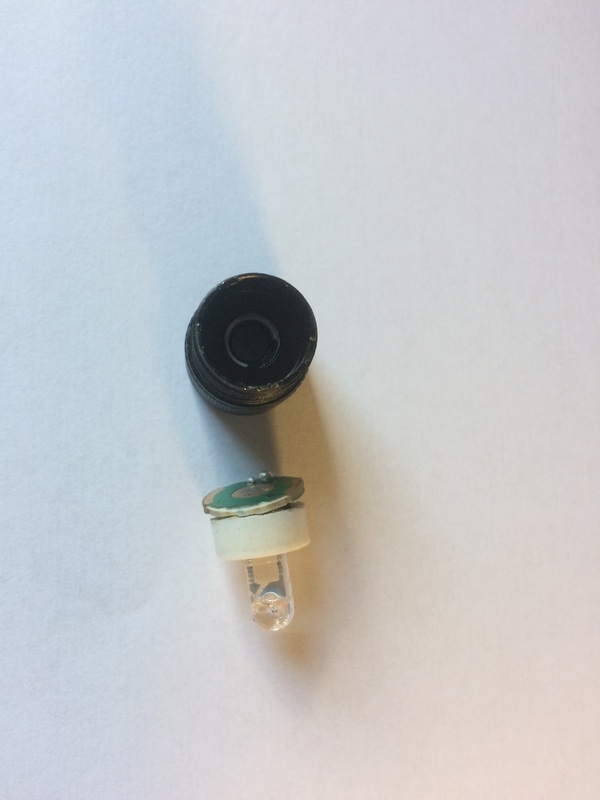 Edit: I added the links to several products pages for tritium vials and magnets with the right sizes to the C01 specifications post. I wonder if there’s a magnet that’s the size of the tritium slot for those of us who want MORE POWER!!! 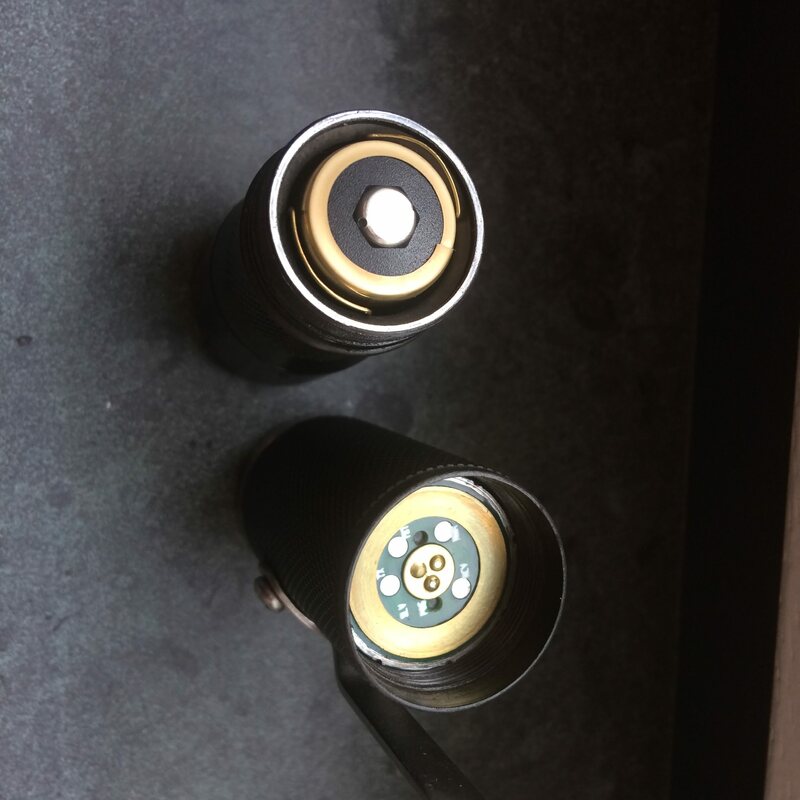 For the sake of safety: for anyone with young children (age < 6 years), please be very carefull with these little rare-earth magnets, and carefully store them out of reach in childproof closed containers. If your child swallows more than 1 magnet, this can cause serious tissue damage and possibly even cause death. For example see this. For the sake of safety: for anyone with young children (age < 6 years), please be very carefull with these little rare-earth magnets, and carefully store them out of reach in childproof closed containers. If your child swallows more than 1 magnet, this can cause serious tissue damage and possibly even cause death. “For example see this”:https://www.cdc.gov/mmwr/preview/mmwrhtml/mm5548a3.htm. Great point. Animals as well. My last update was on 28th November, showing it is/was in Guangzhou (International dispatch). As we’ve been having some strikes in Portugal (customs and stevedore), I am not sure if the delay has to do with that or with the shipping process in China. A fix while it ain’t broken. 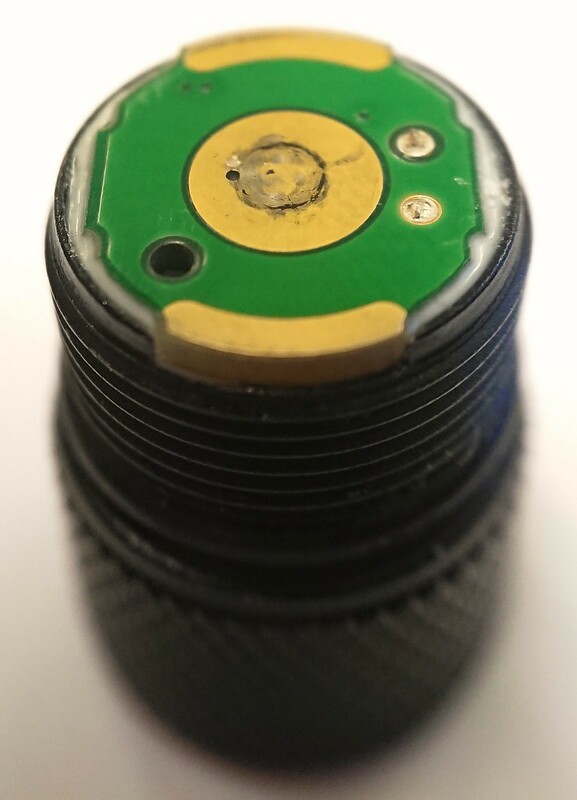 A possible failure point of the production C01 is that the contact flats on the driver that get twisted against the battery tube actually have very little contact area, less than the prototype because the brass is not extended fully to the very edge of the circuit board. It is one of these things that chinese manufacturers change without notice while unaware of the consequences. 3) soldered the brass pieces in place, as flat as possible squeezing excess solder out. 5) after 50 or so twisting actions you can see where the contact area is now, it has more than doubled compared to stock, and the .1mm of brass takes very long to wear through. Bad news, and good news. 1. I managed to kill a Sofirn C01 by applying a lot of heat with a paint stripper to it. 2. 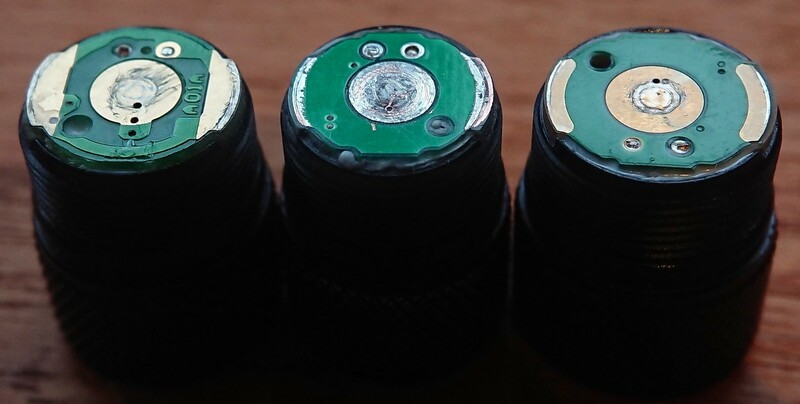 The potting with thermal epoxy fills the complete cavity surrounding the PCB and LED. The driver below is the PCB of a Gerber Infinity Ultra. 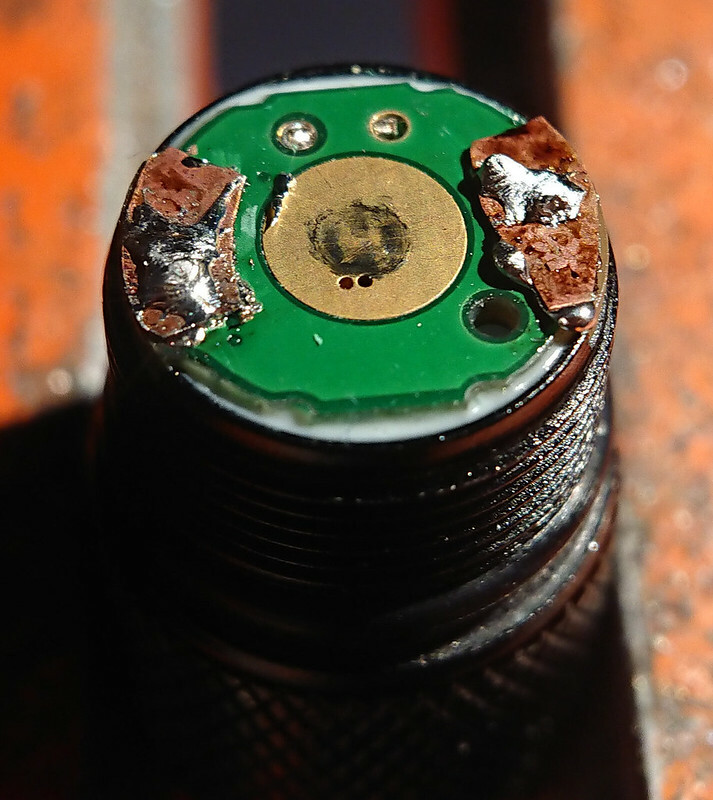 In the upper left corner you can see Gerber only selectively applied conformal coating to the coil (yellow blob). brass is not extended fully to the very edge of the circuit board. It is one of these things that chinese manufacturers change without notice while unaware of the consequences. Thanks for catching that, and documenting how to fix it. I noticed another corner cut. After half a day in my pocket with keys and change, the black paint is flaking off the pocket clip and the tailcap. There’s visible rust on the metal of the pocket clip where the paint flaked off, looks like it was painted without prepping the metal. I wonder sometimes how China’s going to survive the next century, if all their civil and military manufacturing is done to the same don’t-give-a-damn carelesness about specification. Things fall apart when they’re built in slapdash fashion. How long does it take to learn that? Good, cheap, fast — you pick which two. Or maybe pick which one …. But I still like the flashlight so far. As U. Utah Phillips says in his story: It’s good though. Better than I could make myself. Tracking just put my package in Chicago. Hank, and here i thought my light paint peeled off due to our gov irradition of packages from Asia lol. Closer examination does show metal in rusted condition! Clip is in garbage can, light will soon to follow! 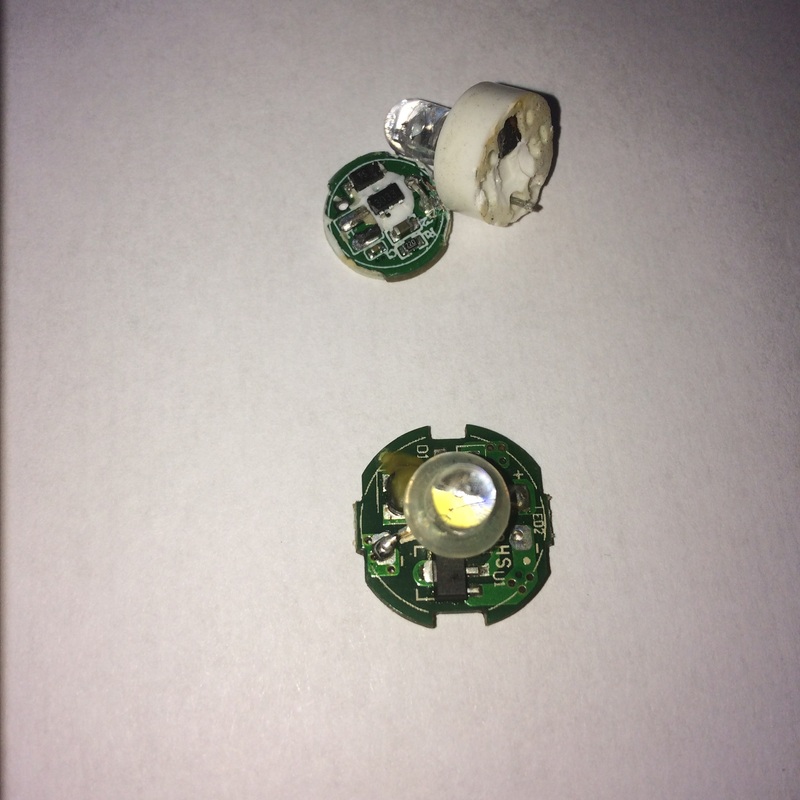 This is a very hard question to answer, with my mod I anticipated on a potential problem in the future. It is by no means sure if this problem will occur and when. Btw, calling this light a POS because of this would not be my style. But time will tell if this will become a problem. If it ain’t broke…don’t fix it. Let the new released torch cut its teeth without interference. It needs to be seen what it is not what it can be made to be. So far, it’s chasing the ghost of the Fenix E01. I ordered C01’s just like everybody else in thread did. Give it a chance as is from Sofirn. Received mine today. 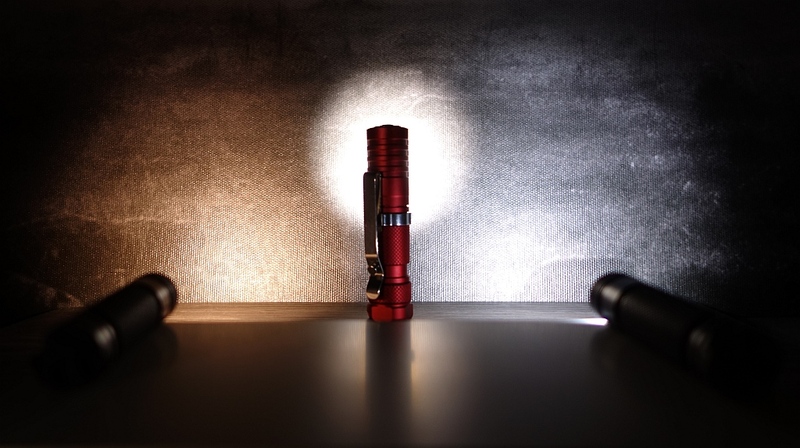 Great light but not much people mention that it has a tunnel vision beam, no spills. Like a zoomie profile. BTW…I wan’t calling it a POS (less than adequate)…I was asking if it was turning out to be a POS (less than adequate)….all directly from your input djozz. Not even a single speck of worries here.. Excluding the 4 submitted in the interest list, so far I’ve ordered another 8 because this specfic model is the perfect startup high CRI light for my loved ones as coming festive gifts..:) It’s within my budget.Using this to educate and get them started with. Many thanks for those and Sofirn who made this happen..:) High CRI ftw! no, no, send it to me instead of tossing it, if you’re not kidding. Like I said, “moose turd pie” is better than what I could make myself. So I like it. If anything, this should be a learning experience for Sofirn about meeting specs, not changing specs, and checking every piece they get from subcontractors for qa/qc. And making sure to have a qa/qc program, of course. Those are defined terms and if Sofirn learns to adopt a quality production process they will stand out markedly different from the average manufacturer in industries around them. Personally, I think China needs something the USA had for a while and lost — unions. They weren’t/aren’t near perfect. But training and competence rested with the workers decades ago. “Union Made” on something you bought said the workers who made the thing likely knew what they were doing. That’s why I asked who owns Sofirn, a while back. If the workers own it, well, pride’s something that develops. If outsiders own it, that’s less likely. 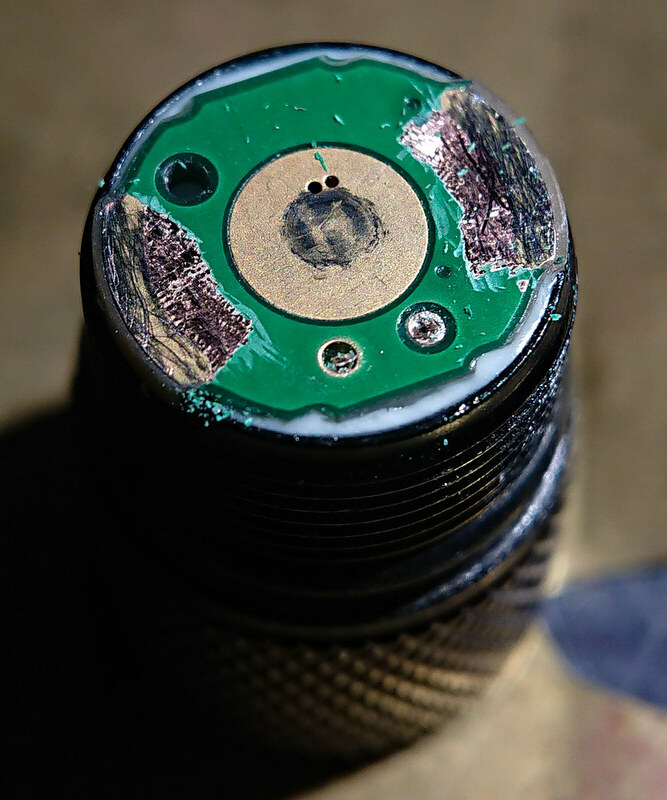 was unable to find the photo of the fenix contact area, I know its here somewhere..
but still dont know what that last pic is, and what the production contacts look like, before being sanded and soldered over..
can someone give me a pictorial sequence.. Fenix contacts, and Sofirn current production contacts, unmodified? When I look down the battery tube past the threads, I see a shiny metal shelf — I assume that’s what the contacts on the head are supposed to reach. Maybe a dab of conductive lube would keep the contacts from wearing out. 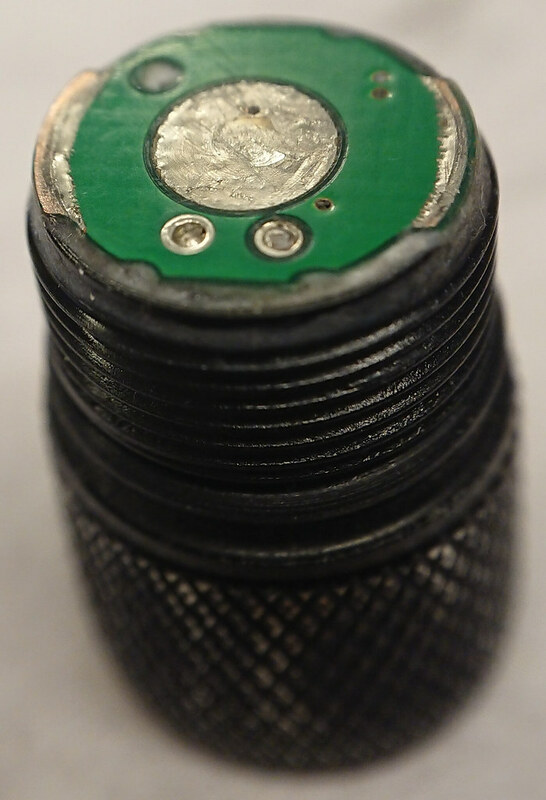 An interesting parallel — one design problem of the Arc AAA was that the circuit board was held to the head by a metal collar just crimped tight that eventually loosened up or flaked off due to metal fatigue. Arc covered that under warranty for the owner’s lifetime; I’ve had several fixed over the years. But ya know, there’s an argument in favor of using a threaded retaining ring to hold the bits in place. Streamer had a legitimate question too about it being a dud from the beginning. “I think” djozz was identifying/speculating what ‘might’ be a weak spot in the unit and could possibly cause problems sometime in the future. He then illustrated a ‘fix’ that would correct the problem ‘should’ it occur. The same ‘fix’ would prevent it from happening in the first place. This issue needs a good pic I see now. Left my Fenix E01. You can see that the copper is extending to the edge and that the contact area is ok, not great IMO but this light has proven over the years that it is adequate. Middle is one of the C01 prototypes. I see now that the copper here also does not extend to the side, but that the contact area is only good because the circuitry is not overly well centered on the board, so that one side makes for a very good contact area, the other side much less. Btw, at the time of the prototype I did warn Barry to pay attention to good contact points. Right is the production C01. The circuitry is even a bit further from the edge of the board compared to the prototype, not much of a contact area leftover. But it works and maybe for a very long time, again mind that there is no hard data at all at this moment that this is a failure point at all, we are speculating based on what we see. It will not help for this production run but I will confront Barry with this picture. Great picture djozz, that clearly illustrates the issue. 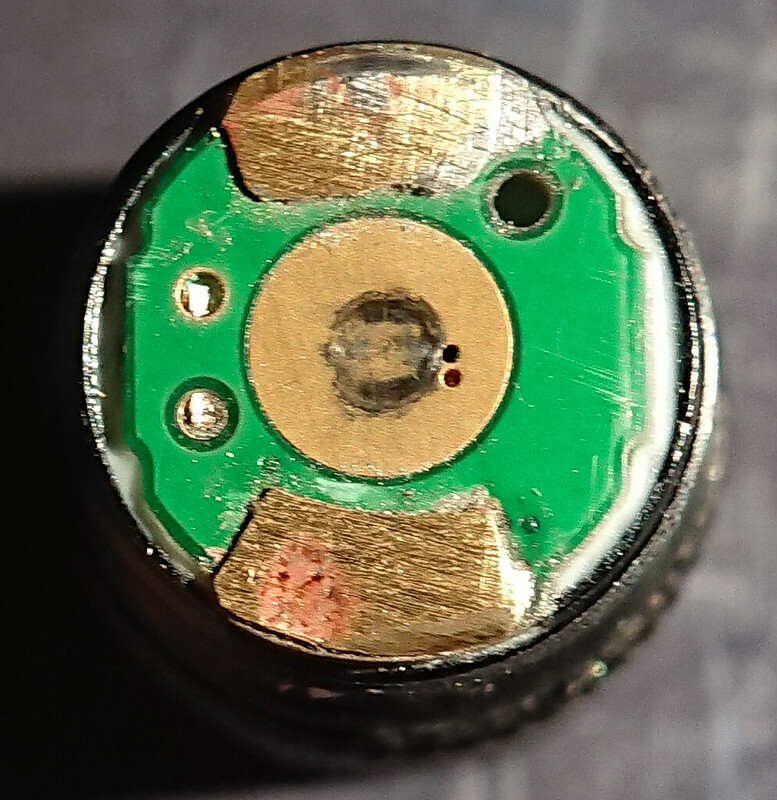 I was wondering if there is a simple, cheap alteration to the head design Sofirn could implement in production in order to make the contact areas between PCB and body tube more robust and reliable? Would just moving the contact pads more outside or enlarging them outwards be enough, or would an alternative design be a better fix (e.g. 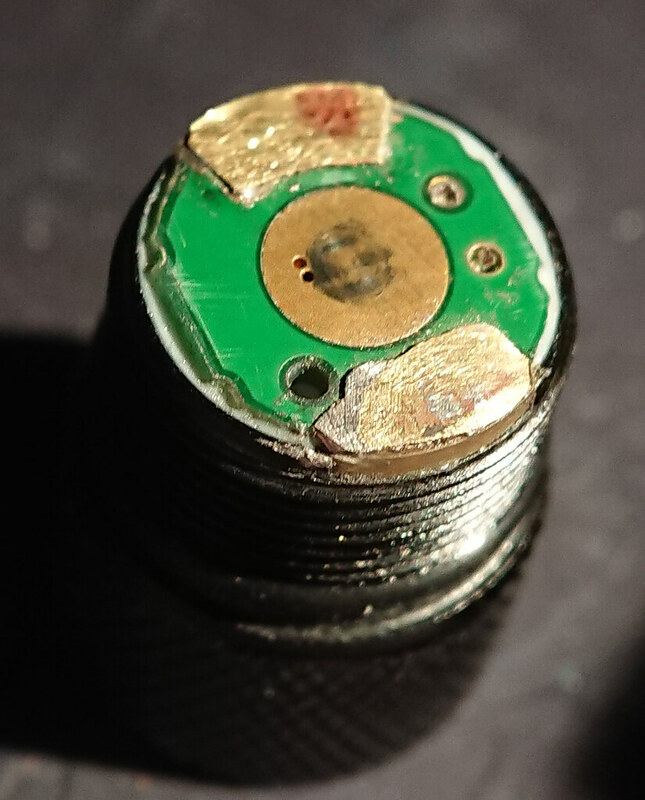 solder on a thin brass ring on the PCB)? Am I correct that the red encircled areas are the contact areas? 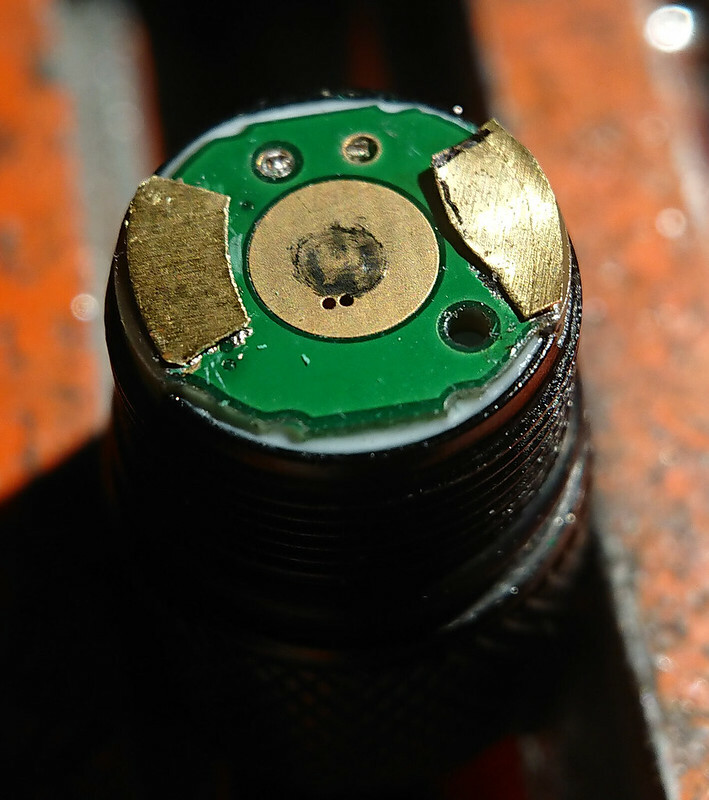 It would be great if we could come up with a design for the contact areas that would make the C01 as reliable as an HDS, without its complexity or high price tag. Picture shows a vintage HDS EDC Ultimate 60 (2004-2006). Thank for explaining THIS further djozz. Glad you cautioned them about this in advance, a shame they apparently ignored you.